This is my podcast where I interview entrepreneurs, makers and healers of all modalities that inspire me to discuss the business of wellness, how they got to where they are, what they provide, & everything they discovered along the way. Anton Brandt, owner of The Sacred Fig and Cocoon Portugal speaks with Lauren about traveling the world and how his yoga practice accumulated into starting both businesses. Denay Hering of Holistic Healing Code speaks with Lauren about Emotion Code, a form of kinesiology and energy healing. Lauren gets a mini session to release energetic frequencies from this lifetime and ancestral lifetimes. Jessica Goldfond, owner of NY based PR and brand development agency The Shiny Squirrel explains how she works with emerging designers to help them run a business. Lauren and Jessica also talk about dating and astrology. 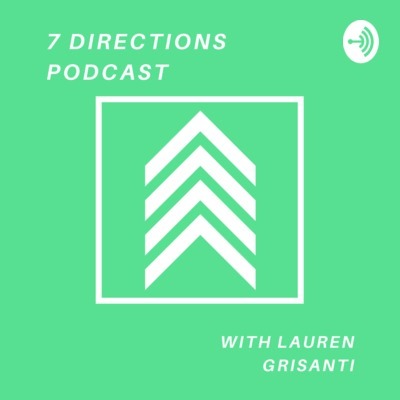 Nicole Pivirotto, founder of IrisEyris sits down with Lauren to discuss design, tarot and starting her own spiritual business. Jaclyn Michelle, creator/founder of Interior Creature discusses how Human Design interpretation intersects science and spirituality. Lauren gets her chart read and finds out what characteristics make up her essence. Therapist Risha Nathan London, (Well With Risha) joins Lauren to chat about working with singles and couples to help them thrive in love, become more conscious of their patterns and feel empowered to reach their fullest potential. Luciana Naclerio joins Lauren to discuss New and Full moon ceremonies, Medicine Readings and her own modality of Dance, a return to the sacredness of the body through movement called The Temple Technique.